Feeling lost, stuck, or unmotivated? Caught in a self-destructive pattern? Recovering from injury or emotional trauma? Reconnect with the power of life you are with Raydiant Life Coaching and Healing. 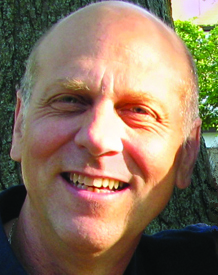 Peter Kime is a spiritual teacher, healer, and Raydiant Life Coach. He is dedicated to helping you connect with your inner power and deep intelligence for creating joy and fulfillment in your life. Most of us require some healing and development to experience all the riches life has to offer us. Peter knows healing requires compassion and seeing the “rightness” of your path. He partners with you to both identify and heal intimacy and self-esteem issues arising from childhood neglect, gaps in development, and abuse. Peter can offer you strength and courage through his inner-light transmissions and Raydiant Touch, a healing touch therapy he developed. His work helps you reopen pathways of connection for more nourishing relationships as you come to know and empower your truth. He also provides lightbody clearings and insights to help you step free from limiting beliefs and self-sabotaging behaviors. As you heal and grow stronger, he engages with you to design a structure for fulfillment to develop and express your unique life genius. Contact Peter for a free 20-minute consultation to explore how he can help you reinvigorate your possibilities and enjoy your next level of fulfillment and aliveness. Creator of Raydiant Pathways, Peter Kime leads Raydiant Pathways workshops and webinars for creating positive change with velocity and ease. He has 27 years of experience, training, and study in human emotional and cognitive development, energy healing, and the higher archetypal domains of being. He offers private sessions at Raydiant Day or by phone/skype. Go to the Calendar at raydiantday.com for dates of upcoming classes and events.